Pixel-perfect panels are like the holy grail for gamers, so check out our pick of the best gaming monitors around right now. The price of quality 4K monitors has dropped off dramatically over the last year or so, to the point where our favourite 4K gaming panel, the LG 27UD68P, is available for $650 (£400). 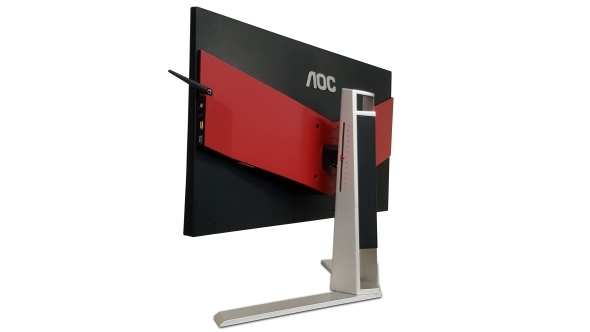 The AGON AG271UG, however, is on sale for a couple hundred clams more, at $800(£613), so what can AOC’s gaming brand bring to the 4K party to justify that price premium? The AG271UG is packing in a true 10-bit panel at its 4K heart. 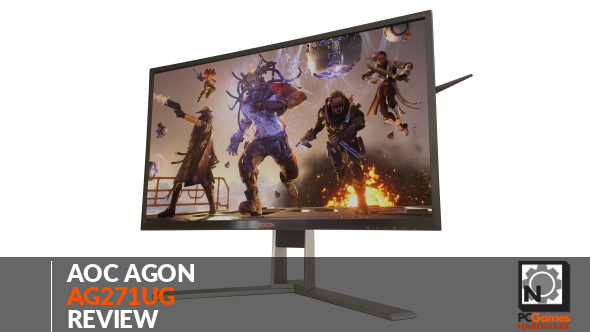 The LG we’ve been recommending as the best 4K gaming monitor uses an 8-bit + frame rate control (FRC) panel to achieve its psuedo 10-bit colour depth. The AGON’s display is also listed as a full IPS panel too – not IPS-like or AHVA – so it looks like AOC might have actually used an LG-manufactured panel in the AGON’s makeup. Because of the IPS panel technology, the AG271UG has a broad 178° viewing angle, but also has a relatively speedy 4ms (GtG) response time, making it more than acceptable for gaming use. Which is just as well, considering AOC have jammed in the expensive Nvidia G-Sync module. That partially explains the higher price compared with the LG 27UD68P, which only uses AMD’s FreeSync tech for smoothing out your games. The peak luminance of the AGON is nothing to write home about, sitting at a pretty standard 300cd/m2, and I’m still struggling to decide whether having a 4K panel that’s just 27 inches across the diagonal is really worthwhile when you’re trying to get the most from the super-resolution. The chassis that houses the panel and AOC electronics is a pretty simple affair, but we’d much rather that some some gaudy, gauche, ‘gaming’ design. It’s all clean lines and basic black bezel. The brushed metal stand is solid and allows for a full range of tilt, twist, and swivelling movements, so you can get really OCD about how it sits on your desk. You can even mark your preferred height on the stand itself, so if you’re the sort to travel about with your gaming setup then you’ll always be able to get it just how you have it at home. The surrounds also contain a USB hub and audio connections, as well as that always-nifty AOC retractable headphone hook. The latest AGON is packing a genuinely lovely IPS panel into its simple shell. This 27-inch 4K display is clear, crisp, and sharp, as well as impressively affordable too. The contrast performance is particularly good, allowing you to clearly delineate detail within both the darkest and brightest shades of your gaming environs. That’s something that often suffers when it comes to activating different manufacturer-created gaming modes, but the different AOC settings, for once, don’t blow out the panel’s contrast. The story isn’t quite so good when it comes to the dedicated black levels. This is a traditional failing of the IPS panel technology and is quite obvious with the display AOC have used here. The white saturation is far better though; it’s not going to give you anywhere near the brightness and detail we’ll see in the upcoming HDR screens (especially with that relatively low peak luminance), but it’s still very effective for a standard dynamic range panel. The in-game performance is where you want the AGON monitor to excel and, thankfully, it’s a great example of a 4K gaming screen. The obvious downside of dropping G-Sync into a 4K screen, however, is that you really do need a serious GPU to be able to nail the 60fps frame rates necessary to see G-Sync at its best. But, as sharp as the panel’s image is, the extra fidelity afforded by the native 3840 x 2160 resolution isn’t as obvious as it would be on a larger monitor. 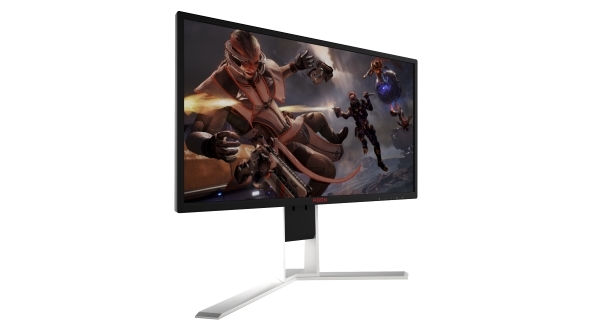 It might sound ridiculous, but personally I think the minimum screen size for a 4K gaming monitor ought to be 32 inches at least. Stick 27-inch 4K and 1440p panels cheek-by-jowl and the difference is negligible, but when 4K gaming is blown up to 32, or even 40 inches, the extra sharpness afforded by the larger resolution becomes obvious. Seriously, a good 40-inch 4K monitor can be a literal game changer. The biggest issue for the AGON AG271UG isn’t anything to do with the monitor itself, more about the issues involved in trying to get gaming at the 3840 x 2160 native resolution of the panel in question. 4K itself is the problem; you need a huge amount of GPU power and a massive screen size to really take advantage of the extra fidelity. But, ignoring those personal problems, the latest AGON is an excellent gaming screen if you’re looking to make the step beyond 1440p. It delivers a sharp, detailed image and has the electronics to back that up with quality motion control. Add in the G-Sync module to the mix and you end up with fluid 4K gaming… so long as you’ve got a mighty graphics card plugged into it. It’s a relatively understated screen, despite the red ‘V’ on the rear of the chassis. The angular stand is plain, machined metal and the bezel’s relatively unobtrusive too. But it’s the panel performance where you want it to stand out and it’s there the 10-bit IPS display has definitely got the goods. 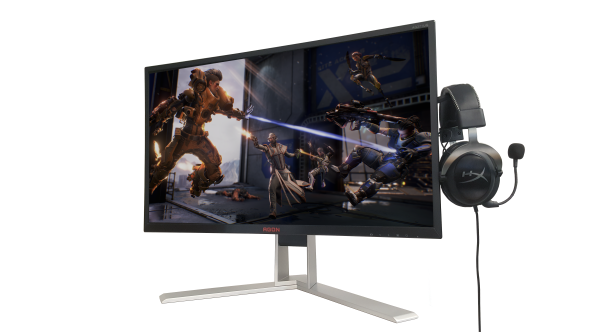 You might be thinking about waiting on the next generation of HDR displays, but it’s worth remembering that, when the 4K G-Sync HDR gaming monitors do arrive, chances are they’re going to be well north of $1,000. Until then, this is almost as good as you can get.